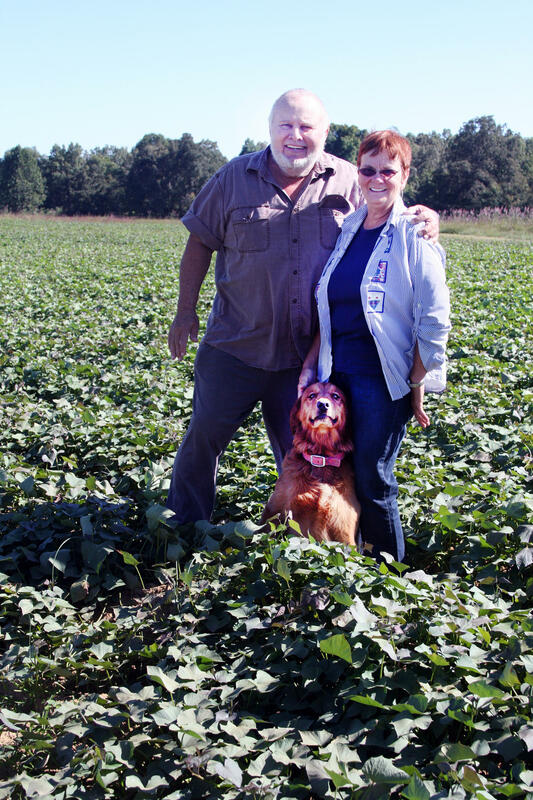 Jerry and Carolyn Barber are Graves County, Kentucky farmers who participate in the Farms to Food Banks program. A Kentucky program that increases the amount of produce in food banks is paying farmers more for their crops. The Kentucky Farms to Food Banks program wants to make sure farmers can cover the cost of growing, picking and getting their produce to food banks. So the program is compensating farmers based on wholesale produce prices in Atlanta, Chicago and St. Louis, instead of on Kentucky markets. Tamara Sandberg is executive director of the Kentucky Association of Food Banks. She says farmers will likely be paid 46 cents a pound for tomatoes this season, up from 30 cents a pound last year. The Farm to Food Banks programs buys produce that farmers can’t sell to grocery stores because it has minor blemishes. The program increases the amount of produce available for Kentucky food banks. Even though it’s early in the season, Farms to Food Banks has already begun expanding this year. Last year 302 farmers took part in the program, and they are likely to continue in 2016. So far this year, 26 new farmers have signed on. Sandberg says farmers from 58 counties are taking part in the program. The Farms to Food Banks program gives farmers the opportunity sell produce that may not match the perfect appearance required by grocery stores, but is a nutritious and important part of helping food banks meet the needs of residents across the Bluegrass State. Changes in food stamp requirements are causing some area food banks to prepare for an increased demand. Up to 9,000 people in eight Kentucky counties could be impacted by the changes the federal Supplemental Nutrition Assistance Program, or SNAP, that went into effect May 1. Glenn Roberts is executive director of Tri-State Food Bank in Evansville. It serves parts of Indiana, Kentucky, and Illinois. In Kentucky, it serves Henderson and Daviess counties. Roberts says one Kentucky program is well-positioned to help stock food banks with healthy produce. It’s called Farms to Food Banks. Roberts says the change in the food stamp requirements comes at a time when the growing and harvesting season could encourage more farmers to stretch the value of their produce.